Dubai: While meditation has been around since 1500BC, it has recently been reintroduced into mainstream culture becoming the latest craze among fitness geeks and celebrities alike on social media. Considered an important part of yoga, the practice, which was born thousands of years before the birth of modern civilisation, is now offered in yoga studios and self-observed through various meditation apps that help with issues such as sleep, anxiety, and stress. Dubai is no exception to the growing trend that has many people allocating from as little as five minutes to an hour a day of silence and self-reflection. 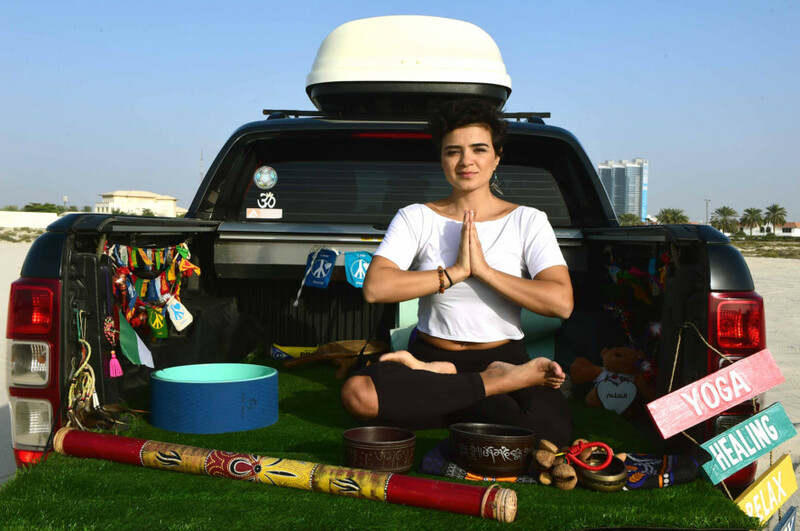 Meet certified yoga instructor Lina Zoghaib, founder of Yogi Truck, a mobile studio that connects the practice of Yoga and meditation to nature. “It allows nature lovers to practise everything from yoga and meditation to outdoor activities such as hiking, rock climbing and cycling in serene areas all around the UAE,” she said. 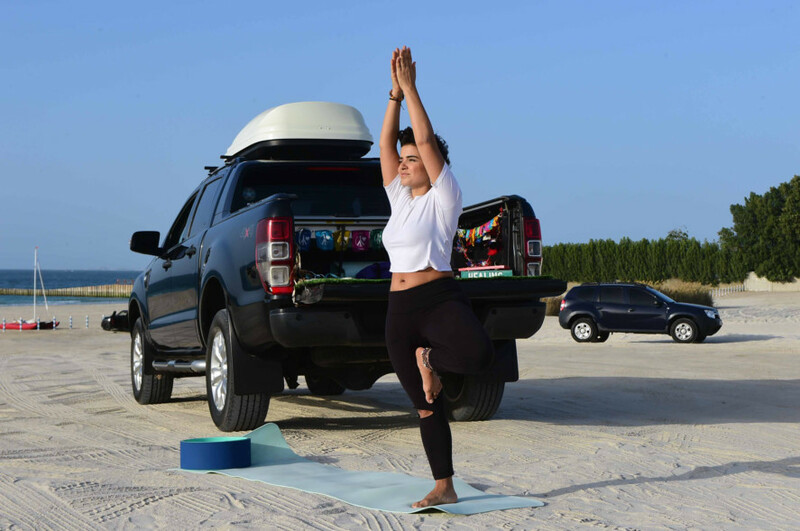 Launched in 2015, the Yogi Truck is a project that aims to “get people in the UAE off their sofas and into the great outdoors,” she added. After being diagnosed with cancer and completing her treatment in early 2018, Zoghaib took a course and has also become certified to teach yoga to cancer patients. Recommending meditation to people of all ages, Zoghaib described the practice as a method that controls the mind through the focus on various breathing techniques, visualisations, and a repetition of mantra. “Meditation helps participants be mindful and present in the moment, while helping them increase positive thoughts, awareness, focus, and self-connection,” she explained. The practice is usually done in a cross-legged seated posture on a chair or on the ground against a wall supported by cushions. “A regular practice of meditation aids to relax our cardiovascular and nervous system, therefore allowing us to relax the body from any tension and stress,” added Zoghaib. For Sumit Manaz, founder of Lifestyle Yoga in Dubai, meditation is “food for the soul”. “It is simply being delighted in your own presence, a totally relaxed state of consciousness where you stop doing everything. It is a state of mind where everything pauses in your mind, and you are in your own true nature,” he said. He referred to three primary factors that interact with each other during meditation — you the individual, the goal of meditation, the process, which you adopt. “These three components need to come together when you practise meditation, and when you are aware of this, all at the same time, then you are in state of ‘pratyahara’ (withdrawal of senses),” he explained. While meditation can be practised in many different positions, the most important part of the posture is having a straight spine and being comfortable. It can be as short as five minutes during a lunch break at work, or can be for longer periods of time where a deeper state of meditation is achieved. “The best time for meditation is in the morning, evening or before you go to sleep. However, there is no such rule for meditation practice, whenever you get time, get into your practice,” he added.